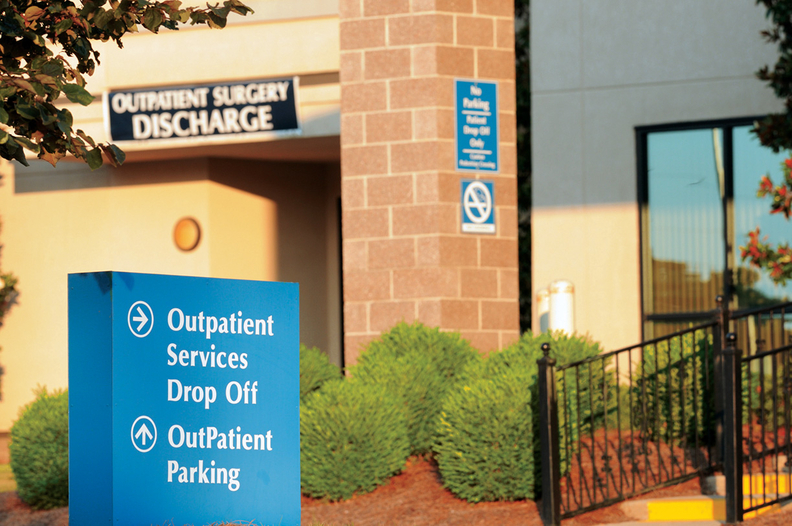 Outpatient prices consistently exceeded prices for the same treatment delivered in office settings, underscoring the potential impact of site-neutral payments, according to new research. Health Care Cost Institute researchers looked at a set of nearly 30 services deemed to be safe and appropriate to provide in freestanding physician offices by the Medicare Payment Advisory Commission. Their analysis of commercial insurance claims from 2009 to 2017 found that more of that care shifted to outpatient facilities where the average price was always higher. "It's not always clear what the setting of service is from the patient's perspective," said John Hargraves, a senior HCCI researcher. "But there is a clear difference and that is the price tag." The share of those services, including echocardiograms, eye tests and pulmonary treatment, performed in an outpatient setting rose from 11.1% to 12.9% from 2009 to 2017. But the setting varied considerably by procedure, researchers found. The share of level 3 diagnostic and screening ultrasounds performed in outpatient settings rose from 20.9% to 25.2% over that span while level 5 drug administration visits in outpatient facilities doubled and level 4 endoscopy upper airway treatments remained steady. Meanwhile, the average price for the same type of ultrasound increased 4% from $233 in 2009 to $241 in 2017 in office settings and 14% in outpatient facilities, from $568 to $650. Level 5 drug administration prices jumped 15% in office settings, from $220 to $254, and 57% in outpatient settings from $423 to $664. Level 4 endoscopy upper airway prices rose 14% from $463 to $527 in office settings and 73% in outpatient settings, from $1,552 to $2,679. Out-of-pocket costs trended similarly. "What was somewhat surprising was that across every category the price is always higher in outpatient settings," Hargraves said. Overall, commercial healthcare prices have risen three times faster than inflation, HCCI's related report found. Hospitals are currently fighting a proposal that would level pay for hospital owned outpatient departments, which currently receive higher rates—some of which are via facility fees—to compensate for around-the-clock care and more specialized equipment. The CMS estimates that it was paying $75 to $85 more for the same services for Medicare beneficiaries in hospital outpatient settings versus independent physician offices. The proposal wouldn't apply to the commercially insured. The American Hospital Association said HCCI's report was out of step with other analyses, citing CMS and Altarum data indicating that price growth for hospital services was 1.7% in 2017 and 2018. The proposal would save Medicare $610 million a year and patients about $150 million via lower co-payments, the CMS estimates. That represents about 1% of the around $75 billion hospitals receive a year from the CMS for outpatient services. If the proposal passes, health system executives argue that they would have to scale back and recalibrate accordingly. "Facility fees play a role in why we're seeing higher service prices in outpatient settings," Hargraves said. "The difference in average prices is staggeringly higher in outpatient settings. This analysis at least shows what the implications are for site-neutral payments as a way to reduce costs." More health systems are buying up physician practices, which influence where patients receive care, research shows. Vertical integration may increase physicians' incentives to provide unnecessary treatments and refer patients to higher-cost and lower-performing facilities owned by the health system, a 2015 working paper found. It's often unclear if a facility is owned by a health system, and lines will likely further blur as consolidation continues, HCCI researcher Julie Reiff said. "One year a physician could be independent, and the next year the practice may be bought and the financial structure changes. But there is not much knowledge around that," she said. "A service doesn't have to be performed in a hospital to have a higher price."